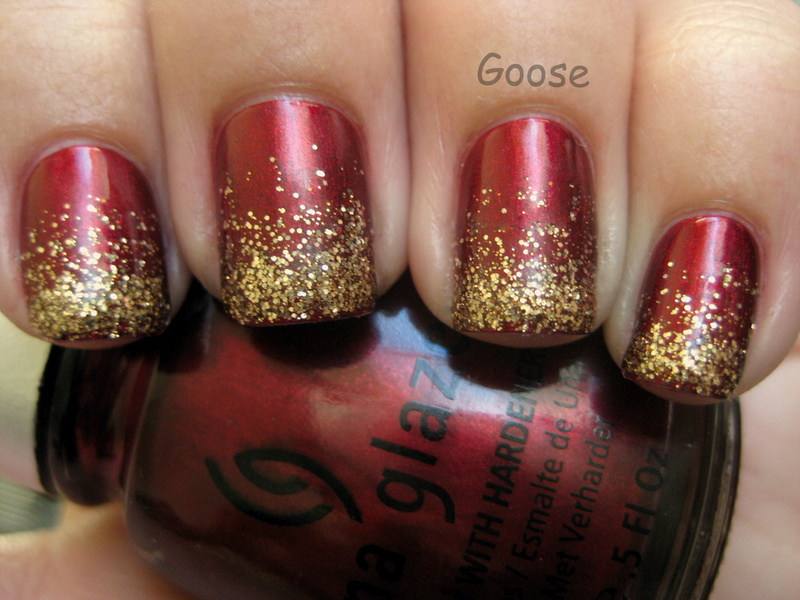 This is China Glaze Mommy Kissing Santa with Orly Hair Band as a glitter gradient on the tips. This was the beginning of the following manicure - gold French tips done with OPI Glitzerland. Then I stamped the holly leaves in Jolly Holly using a Bundle Monster plate and dotted the berries first in OPI Royal Rajah Ruby then in China Glaze Red Pearl. 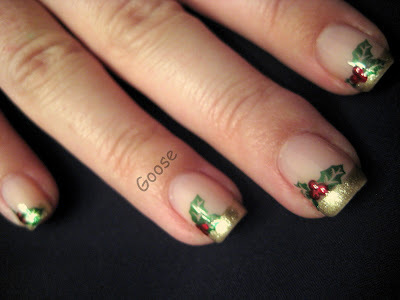 Which one is your favorite and which one should I submit to the festive fingers contest? Help me decide! Oh noooo, I can't decide either. :( They're both festive and fantastic -- fantastive? festastic? 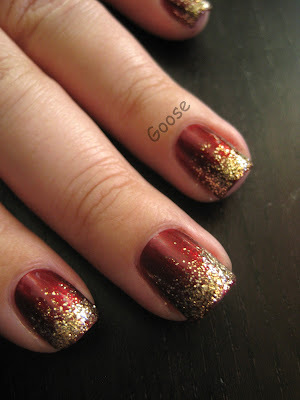 I just love the first mani, you've done such a great job on getting the glitter to look so neat! The first one looks the best but the last is the most creative! omg, you totally read my mind! 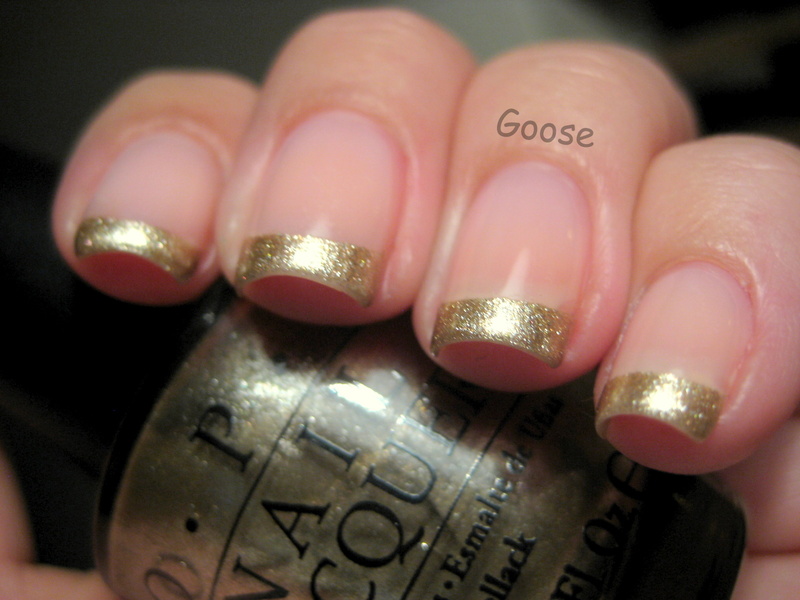 I purchased Glitzerland in August and since then I had envisioned a gold french tip mani with it! I never ended up getting around to it though. looks great on you! I loved the first one, but HOW'D YOU DO IT? I like how it blends. I don't like lines.